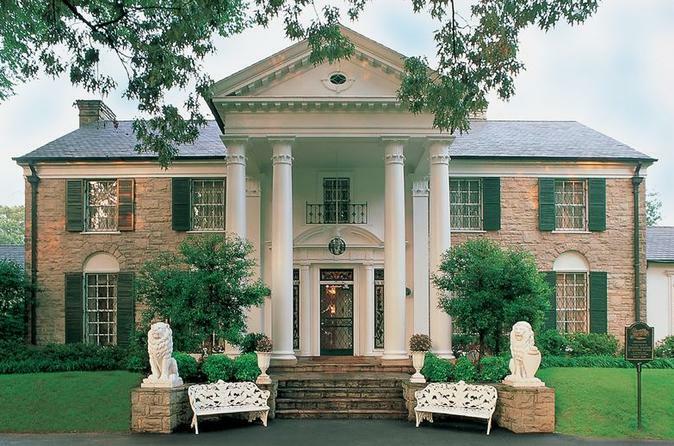 Take a fun vintage-style bus to Elvis Presley’s Graceland, the Home of the King! A short ride on the charming “Sweet Caroline” or her sister bus “Miss Clawdy II” sets the perfect mood for visiting Elvis’ home, the second most visited home in the country. Enjoy an audio tour of the Mansion, visit the Meditation Garden, then explore the all-new, state of the art entertainment complex, “Elvis: Past, Present & Future,” featuring the largest, most comprehensive Elvis museum in the world as well as the enhanced Auto Museum, Elvis’ custom jets and special themed Discovery Exhibits. Shop for Elvis gifts and enjoy the restaurants and ice cream parlor before returning Downtown or to your hotel. Start your visit to Elvis’ home with a fun, 20-minute ride from downtown Memphis to Graceland. After arriving at the Visitor's Center and receiving your Elvis Experience Pass, you'll watch a short introductory video before touring the Mansion on a self-guided iPad tour that features stories and commentary from Elvis and his daughter Lisa Marie. Walk through the grand home’s many rooms including the Polynesian–style jungle room where the family liked to relax. Step outside to see the house where Elvis’ father had his office and managed his famous son’s career. Then take in Elvis’ many awards in the Trophy Building, followed by a walk through the Racquetball Building where his stage outfits are on exhibit. Finally, wrap up the Graceland Mansion tour in the Meditation Garden where Elvis and his family have been laid to rest. Your Elvis Experience Pass includes full access to everything at the Visitor Entertainment Complex, including the Automobile Museum, Elvis’ Custom Airplanes, the Elvis: The Entertainer Career Showcase Museum, and all of the special changing exhibits, shopping, and restaurants at the Visitor Entertainment Complex . After three and a half hours at Graceland, your bus returns you to downtown Memphis to end your tour.